Effective States » The majority of the world’s poor are in school so why aren’t they learning? The majority of the world’s poor are in school so why aren’t they learning? 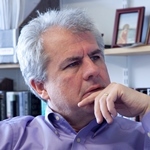 ESID Researcher Lant Pritchett has written for The Guardian on the need for research into rapidly improving the quality of schooling if the world is going to meet the demands of the global education goal.